Creating a recurrence for a job that's already on the calendar is quick and painless. Keep in mind a job with segments cannot be made into a recurring job. Estimates can also not be recurring. 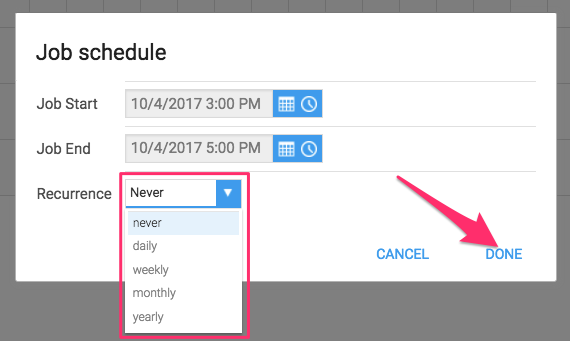 To change a job to recurring, go to the job details page of the job you'd like to update and click the 'schedule' button. This will take you to the scheduling screen. Click the recurrence icon in the top right of the screen. A window will appear for you to choose which interval you'd like the job to reoccur at - daily, weekly, monthly or annually. 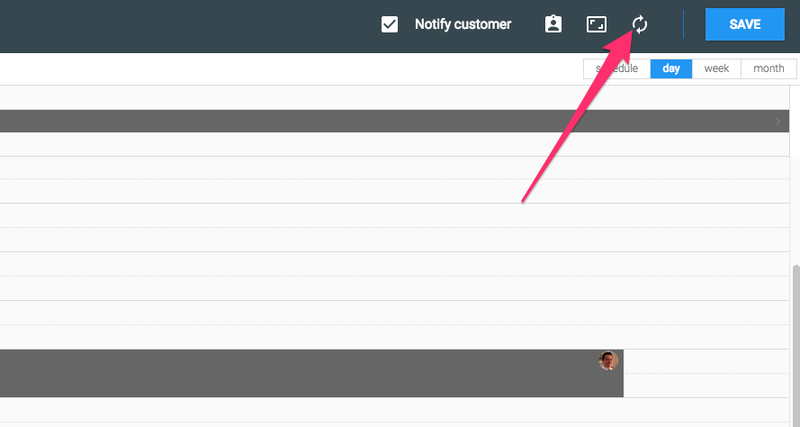 Just click the drop down menu next to 'recurrence' and select the correct option. When the interval is set, click the 'done' button in the bottom right. You'll be taken back to the scheduling page. Click 'save' in the top right to apply the changes.